you look AWESOME! i so dig your outfit! especially those rockin leggings! I love the leggings. The mesh detailing down the side is so unique. 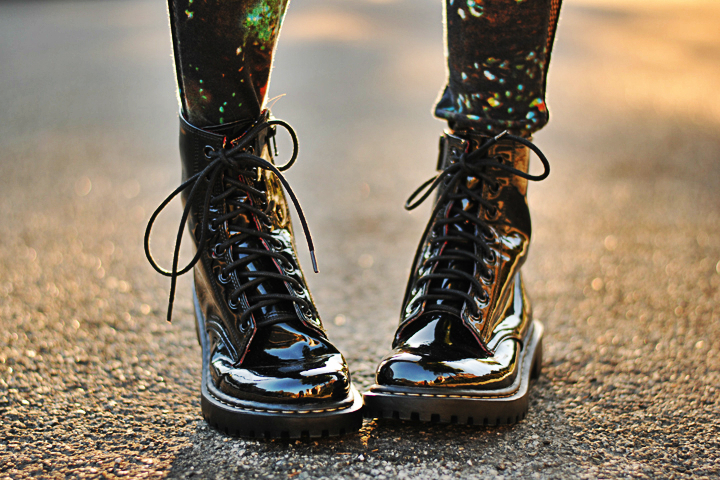 Seriously where do you find all these amazing clothes!? love the mesh strip down the side of those leggings! Loving the mesh in this outfit. It's fantastic. The whole outfit works perfectly. I love those crazy pants and I am now following you! Amazing blog! 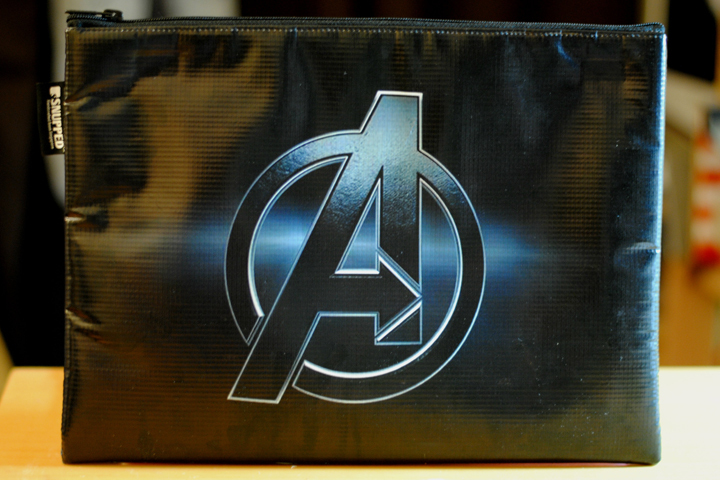 Oh my word, the Avengers bag...♥ Love it! OMG! I love this outfit! 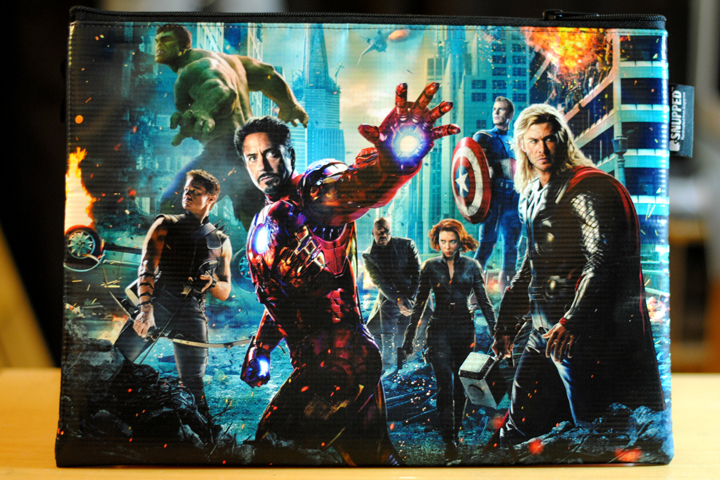 Everything is so amazing, I want your laptop case! !